Chapter Seven in The Leader’s Guide to Coaching in Schools, by John Campbell and Christian van Nieuwerburgh is titled Creating the Right Context for Feedback. In this chapter, the authors stress that creating an environment for growing and learning means a focus on learning how to receive and give feedback positively. I have written previously about feedback in teaching, coaching and leading (See: Feedback for Students and Teachers, Feedback: Knowing Relationships, and Feedback from Coaching.) Reading through this chapter, I was reminded of the consciousness we must have as providers and receivers of feedback. What does the term “feedback” mean? What is my purpose for giving or requesting feedback? These are important questions as feedback is interpreted in many different ways. Modifying – invites an alternative way of thinking or doing. Joellen Killion in The Feedback Process: Transforming Feedback for Professional Learning moves away from using the terms givers and receivers of feedback as those terms suggest that feedback is a product to be exchanged and that it is primarily unidirectional. Receivers are often passive recipients and givers and receivers hold different status. Seeing feedback as a process rather than product, and learning as the primary purpose of feedback, she uses the terms learner (the person actively engaged and even directing the feedback process) and learning partner (someone supporting the learner in the feedback process). My experience suggests that conversation is the key to building relationships that promote the effective use of feedback. A quality pre-conference where I can listen, understand, and communicate support for a teacher’s desired student outcomes sets the stage for feedback in a post conference. In this, communication “feedback” is defined. 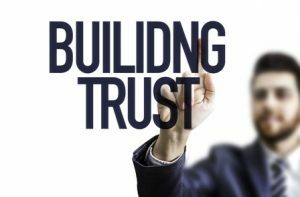 By keeping that feedback understanding throughout the observation and post conference, trust is built into an ongoing coaching partnership. Consider using this blog to engage in a conversation about feedback with your staff. Encourage individuals to share how they have experienced feedback in the past and what they believe would best support their current learning/growth efforts.